This mod adds proper ears to male Twi'lek heads in KOTOR II. In the vanilla game, male Twi'lek heads had no geometry for ears, leaving them as flat textures on the head. For every other head in the game that has ears, those ears stick out. After noticing this inconsistency, I decided to take a shot at fixing it. This mod makes an additional adjustment by fixing the eyelid origins, so that they no longer clip through the face when blinking. It may be a small-scale change, but given the frequency of Twi'lek NPCs, it's a nice visual improvement that keeps consistency with other character models in the game. There's also a KOTOR I version available here. Installation & Uninstallation To install this mod, drag the files located in "Override" to the Override folder located in your game's directory. If prompted, select replace, although you might want to back up any pre-existing duplicates beforehand. 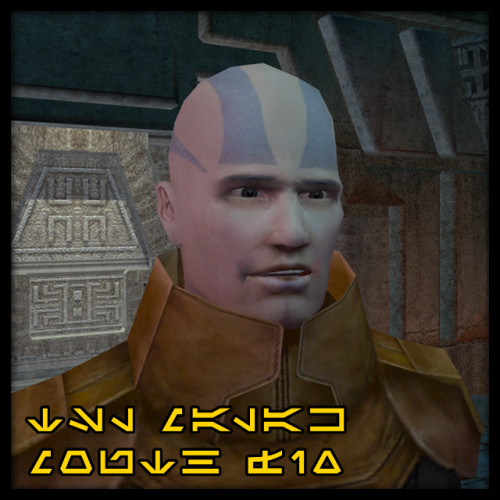 To uninstall this mod, delete twilek_m.mdl & twilek_m.mdx files from your game's Override folder. Compatibility & Known Issues This mod won't be compatible with anything that overrides the same files. Any Twi'lek male retextures should also work fine with this installed. Known issues: None as of this version's release. Credits Fred Tetra, Kotor Tool bead-v, MDLedit Symmetric, Purifier, & ndix UR; KotOR Blender Blender Foundation, Blender Major thanks to the KOTOR community for the passion & dedication that keeps these games alive. Disclaimer This mod is not supported by LucasArts, BioWare, or Obsidian Entertainment. It is for personal usage only & intends no copyright infringement. Contact me on DeadlyStream or via Discord (listed on my DS profile) if you have any questions, comments, suggestions, or the like. If you want to use this mod as a part of an external work, please reach out to me & ask for my permission first. If I give the go-ahead, just make sure to give the proper crediting. Per request, this is a modder's resource to fix unused models in TSL that had the "mouth cube" problem, AKA tongue tip dummies unintentionally set to render. I have also included a model for Jedi Malak with his "mouth cube" fixed. 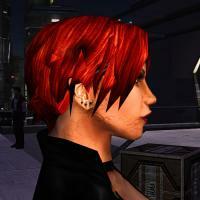 Not to be confused with my Malak Mouth Fix mod, the model in this download has no further changes. 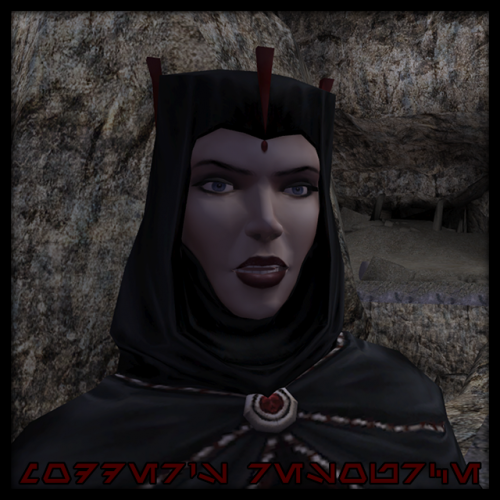 What's Included Jedi Malak (Full body): n_jedimalek.mdl/mdx Sith Governor/Apprentice (Head): sith_app.mdl/mdx Atris (Darth Traya variant) (Full body): n_darthtraya.mdl/mdx Credits Fred Tetra, Kotor Tool bead-v, MDLedit Disclaimer This modder's resource is not supported by LucasArts, BioWare, or Obsidian Entertainment. 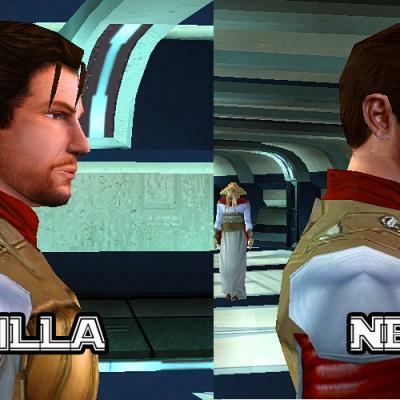 It is intended to be used by other members of the KOTOR modding community & intends no copyright infringement. Contact me on DeadlyStream or via Discord (listed on my DS profile) if you have any questions, comments, suggestions, or the like. Feel free to use these files however you want, this is a resource & no permissions are necessary. 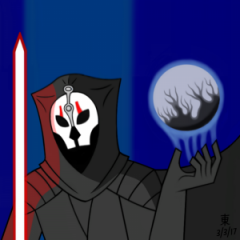 Greetings, fellow Jedi! May the Force be with y'all. I am here to request for a mod that will fix the misnamed bone inside the "comm_a_m" model, appeared in the game as Asian commoners head- particularly this variant: We can see in the screenshot below that usually in any other head models [and its counterpart comm_a_m2], the bone are written as eyeRA and eyeLA respectively: I've tried to rename the bone myself, but in the end resulting in a new problem: Both are results of the compiled binary; either using MDLedit or MDLOps, they leave behind a mark to both side of mouth area. While the new problem is there, the renamed bone resulting in an appropriate eye movement. I believe I have ran out of options to perform the proper fix myself; hence asking the forum a request is the best option it is. I hope the information provided was enough for an attempt, and many thanks for considering this. Greetings, fellow Jedi! May the Force be with you. Along with the compiling-decompiling model attempt I have done recently, some discoveries were found regarding the end-result of using both MDLedit v1.0.3 and MDLOps v1.0.0. 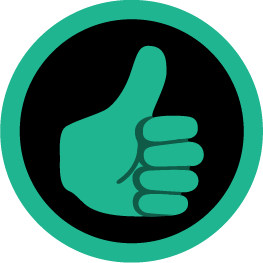 First, this comparison purpose is to give the potential user of both tools a preview of the compiled model using each of the tools mentioned. This also had no intention to show which tools are best and which are less; it's simply to share the discoveries been found. Here's a screenshot for details: Left image is TSL's n_quarren [Quarren's F model] model compiled using MDLedit v1.0.3 with tangentspace enabled by not ticking the bumpmap flag, but instead changing its value inside the ASCII file from 0 to 1 using a text editor. Right image is TSL's n_quarren [Quarren's F model] model compiled using MDLOps v1.0.0 with tangentspace enabled by changing its value inside the ASCII file from 0 to 1 using a text editor. As we can see there is a difference in the head part; which MDLOps version produce a noticeable line whilst MDLedit version isn't. This occurrence already emerging several times on my end; such with compiled TSL's n_commf model. I hope this discovery kind of helps with any future modding attempt, and gave an insight of what will and what won't regarding the implementation of the aforementioned method. Edit: Be advised that they had nothing to do with normal maps. It's a smoothing error, as informed by DarthParametric. The normal maps activation is just part of the compiling process. k1 [Question] Locate Area Model? Greetings, fellow Jedi! Is there any tools to easily locate the name of the area we were at? For example; I would like to know exactly what's the name of the area model where I am at right now without having to poke through every Dantooine area models [m13aa_xx] inside the extracted models.bif. 😁 Screenshot: Many thanks for considering this! I always liked how Luke was dressed in Return of the Jedi, I think it might fit well for a Grey Jedi kind of playthrough. For those who played Jedi Knight : Jedi Academy, Toshi made a really nice model of that particular outfit. Here's the one I mean, as it is in EA's Battlefront 2. Someone else made a thread about it a while ago and had the original modder's approval. I figured with the new rules and modding tools, this might be a good time to make a new request for it. This has been driving me nuts for years. I've tried to do this several times but I've never been able to successfully pull it off. Simply put; I'd like my character to visually wear Atton's jacket. I think that jacket is the freshest piece of clothing in the Star Wars universe and possibly all of sci fi, and I wanna punch sith in the face while wearing it. I don't care if it's the actual item of Atton's ribbed jacket or another item being rigged to appear as the jacket; I just want my Exile to be able to wear it. There is a pitiful lack of information on the web about what values in the appearance.2da file correspond to, and I've been trying to change character models to no avail. I tried editing Atton's jacket to not be restricted to him, which works in a sense, but it shows up as the default jedi clothing on the player character which is obviously not I am going for. I'm not sure which entries in the appearance.2da refer to the player character models. I've set a TON of them to have their model B (which corresponds to default clothing, I believe?) appear as Atton's jacket model, but so far it has not worked. I need some help from someone who knows this stuff better than I do. Either a step-by-step guide on how to properly configure my appearance.2da or a straight up model replacement would be greatly appreciated. Hello everyone! This mod replaces the existing (and hopelessly outdated) lightsaber models with better new versions. 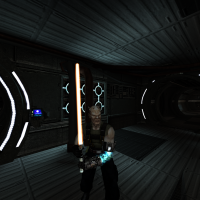 In addition, the blade textures are replaced with flickering textures that are more similar to the original trilogy. NOTE: The models were created by ROOXON for Jedi Academy. 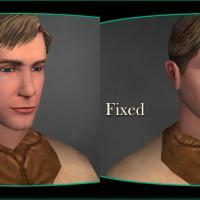 I converted them to work in Kotor 2. ROOXON has given me permission to convert the models. Just a fix for the PMHC06 head model (Blond Guy with Bangs?). The model contained some bad node names/linkage which are corrected to match its supermodel, allowing this poor fool to now blink and move his eyes! Kind of a quick job, anyone that wants to do a better job is encouraged to do so, using my model as a starting point or not, as they prefer. Feel free to reuse, repackage, redistribute the contents of this package with or without attribution or notification. ************************************** Knights of the Old Republic II: TSL ************************************** TITLE: PMHC06 Fixed AUTHOR: ndix UR VERSION: 1.0 RELEASE DATE: 10/2017 FILENAME: pmhc06-fixed-tsl.7z A modification for Knights of the Old Republic II: The Sith Lords. -------------------------------------- INSTALLATION -------------------------------------- 1. Place ALL the files in the 'Override' folder of this package into your game's Override folder. -------------------------------------- DESCRIPTION -------------------------------------- This mod includes a new model for the Blond Guy with Bangs (PMHC06) model from TSL. It fixes the issues outlined in the following forum post: http://deadlystream.com/forum/topic/4610-renaming-bones-in-models The fixed model has eyes that move and can blink. Changes to the model: - Nodes renamed: eyelidL => eyeLlid eyelidL01 => eyeRlid eyeL => eyeLA eyeR => eyeRA teethUP => teethupper teethDWN => teethlower - Flipped normals on the right eyelid - Nudged the vertices under hair_front backwards a tiny bit Thanks to 1Leonard and DarthParametric for fleshing out the issues. Kudos to DP for the rerig attempt, but that is not the approach I followed. 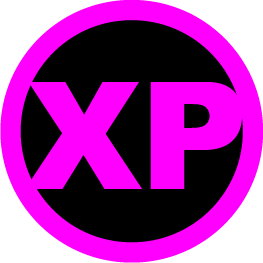 -------------------------------------- UNINSTALLATION -------------------------------------- Remove the added files from your Override folder. -------------------------------------- COMPATIBILITY -------------------------------------- This mod replaces the PMHC06.mdl and PMHC06.mdx files. It will not be compatible with other mods that do the same. -------------------------------------- BUGS -------------------------------------- Smoothing might not be perfect. -------------------------------------- LEGAL -------------------------------------- I place no additional restrictions on the use, distribution, etc. of this package and the files herein. THIS MODIFICATION IS NOT MADE, DISTRIBUTED, OR SUPPORTED BY OBSIDIAN, OR LUCASARTS ENTERTAINMENT COMPANY LLC. ELEMENTS TM & ? LUCASARTS ENTERTAINMENT COMPANY LLC AND/OR ITS LICENSORS.